Richard Trillo, co-author of the Rough Guide for West Africa, said that Brits identify with Portuguese culture because of our tradition of taking holidays in the Algarve. As a consequence, visits to the former colony prove particularly enticing to travellers hailing from the UK, who are made to feel especially welcome by the local population. "The British have been buying lots of houses in Portugal," Mr Trillo noted. "Cape Verde is just an extension for people who have been to Portugal, except it's sunnier all year round as a tropical West African country." The Rough Guide author added that in his opinion, the nine Atlantic Ocean islands that make up Cape Verde are "like a strange cross between Brazil, Portugal and West Africa". 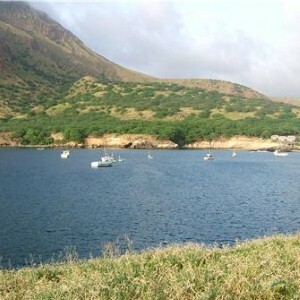 The archipelago of Cape Verde was uninhabited until Portuguese colonisers discovered it in the 15th century. It attained independence in 1975 and currently has a population of over 420,000.